Power Fuels Propane more than exceeds expectations and reliability during this past winter season when product supply was tight. If it’s time to discuss replacement, and you are thinking gas… propane is the fuel of choice. Call us today to see how we make it easy as 1, 2, 3! Our Service Department has a broad range of competencies in residential and commercial applications. From heating to cooling, typical to complex oil and gas systems, Power Fuels Propane stands ready to provide the best services money can buy. Ever wonder what makes our company tick? A dedication to getting to know our customers and treating them like family. Our customer service is of world-class standards and is the talk of the town. What makes us tick is your complete satisfaction! It is with great excitement that we tell you our name has changed for the better! 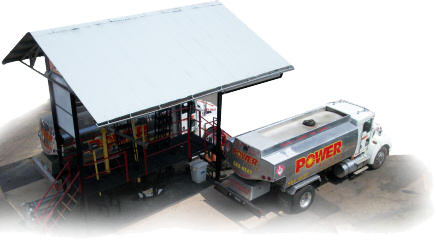 Power Fuels is now Power Fuels Propane. Our company has grown for the better and is now a sister company to Tuxis Ohr’s Fuel Incorporated! The big question is always, “What is changing for me?” We are not changing anything (other than the name)! Your propane will still be delivered by the same great drivers that you’ve always had, in the same vehicles, with the same delivery ticket! When you call the same phone number, your friendly receptionist, Barbara will still be on the other side of the phone, and you can still visit us in person at 17 Brook Street! If you are an oil customer you will continue to deal with us. You may receive a delivery from a vehicle labeled Tuxis Ohr’s. There is no need to worry, it’s still us! Should you have any questions or concerns please give us a call at the same number, 860-589-4328. Trust the family at Power Fuels Propane for your comfort and safety. Whether it's premium heating oil or quality propane, repair or installation, we have you covered. Our company can fulfill your needs the right way each and every time.